We do things today that would have made no sense to journalists in the 1980s. Big, established news organizations publish stories with little to no editing. Reporters send tweets to TV shows. Producers send journalists to rummage around crime scenes on live television. Reading a newspaper or magazine doesn’t cost anything at all. Every two years, we ritualistically return or throw away our mobile phones, even if they’re in perfectly fine working condition. We talk to our cars. We wear devices that track and monitor our levels of fitness, our whereabouts, our vital signs. And then we share our personal information with whoever’s interested, even with complete strangers whom we will never meet. News organizations, and the communities they serve, must cope with hundreds of first-time situations driven by technology at a pace unmatched in any other time in history. We experience these micro-moments on a near-daily basis: new mobile apps, new connected watches, new hacks, new ways to harass others on social media, new directives in how to “binge watch” the latest show on Netflix. Novelty is the new normal, making it difficult for us to understand the bigger picture. We now inhabit a world where most of the news and information that has ever existed is less than 10 years old. From the beginnings of human civilization until 2003, five exabytes of data were created. We are now creating five exabytes every two days. In fact, in the minute it’s taken you to read this far, 2.8 million pieces of content were shared on Facebook alone. 250,000 new photos were posted on Instagram. The question I really wonder about is this: How will journalists in the year 2046 look back on what we were thinking, building, and predicting today? Here are five trends that I’m forecasting will greatly impact journalists and news organizations in 2016 — and, importantly, how I think future journalists will remember them three decades from now. 2016: Algorithms can already translate data into a narrative story using natural language generation. In the past year, organizations such as the Associated Press, Comcast, and Yahoo began experimenting with Automated Insights, which mines data and is capable of writing more than 2,000 stories per second. At the present moment, it isn’t a robot replacement for staff. I anticipate more news organizations using natural language generation to produce stories about fantasy football, earnings reports, and the like in 2016. 2046: Journalists will look back on this time as the beginning of a great transformation. Nascent bots and generative language algorithms became more powerful, capable of writing just about any news copy. NLG tools were built to assist editors, too. That helped to catalyze a shift in the organizational structure of newsrooms. Now in 2046, there are only talented writers and editors. The biggest concern is whether, in the next few decades, personalization algorithms and generative language bots will have become more proficient at crafting stories for each individual reader, viewer, and listener than humans and obviate most editorial jobs entirely. 2016: Digital tools have made it easy to report on a live event and publish in real time, but adding context — such as whether or not a source’s statement is factually accurate — usually happens after. In 2009, the Tampa Bay Times won a Pulitzer for its PolitiFact project, which fact-checked the presidential election. In 2011, MIT student Dan Schultz launched Truth Goggles, which originally enabled users to fact-check stories on the Internet. (It eventually pivoted into a broader annotation tool.) In 2012, The Washington Post won a Knight News Prototype grant to build a real-time fact-checking application for planned speeches (such as a Presidential address) called Truth Teller. The 2016 election will be streamed, and an unprecedented number of people and their devices will cause some fragmentation. Videos can be cut and edited to change the context, while inaccuracies spread on social media sometimes have a habit of becoming the truth. The technology exists now for news organizations to build real-time fact-checking tools, adding a critical editorial layer that’s both good for the public interest and good for building brand reputation. 2046: Years ago, real-time fact checking became part of everyday reporting. When virtual assistants (VAs) became capable of listening, translating, and annotating our conversations, journalists started using them to assist with fact-checking. Now, journalists now upload their newsroom databases to their VAs to monitor conversations with sources, and they know immediately whether someone has misspoke. And, working together with their VAs, journalists also understand the context and contours of a discussion as it is unfolding. 2016: One of my favorite digital journalism projects is still Rising From Ruin, an award-winning project by MSNBC. It tells the story of Katrina’s aftermath through the lenses of two small communities in Mississippi that weren’t covered by any other media outlet. It included a series of videos, maps, interactive elements, a forum for residents — and since it only exists as a website, there is no other way to see the stories. When Microsoft pulled out of its joint venture with NBC, the project briefly went offline. It’s recently available again, but for how long? At the end of 2015, ESPN announced that Grantland, which has won numerous awards for commentary, was going offline. With so much media consolidation in the works, it’s likely that a some amount of our best journalism won’t be available in the future. 2046: During the past three decades, there were various nonprofits trying to preserve digital journalism like Rising From Ruin — digital packages that never existed anywhere but the Internet. However, due to changes in media ownership and an inability to keep pace with changing digital standards, much of that content is now lost. For a while, some of the stories could be retrieved via the Internet Archive, but it only took snapshots of content. Libraries archived printed material, but there was no effort to build a central repository for all of the digital content that was created in the past three decades. Those early New York Times experiments with virtual reality are now lost. So are the Vox explainers, the Washington Post blogs, and the richly interactive maps produced by so many news organizations. Some old timers remember the tremendous journalism done years ago — like the Disappearing Rio Grande package from The Texas Tribune, the Till Death Do Us Part series by The Post and Courier, and that incredibly cool interactive from Quartz showing every active satellite orbiting earth. But there’s no way to access them now, since there was no concerted effort at news organizations to ensure that content was made forwards-compatible as Internet standards evolved. Of course, there was probably no need to save every listicle and quiz. But with the benefit of hindsight, someone probably ought to have initiated a public discussion about whether it was in the public interest to allow certain news content to go dark forever. 2016: You’ve seen an ambient interface if you’ve ever used Google Now, which automatically surfaces and displays the information you need to know, just as you need to know it, with virtually no action required by you. What makes ambient design so tantalizing is that it should require us to make fewer and fewer decisions in the future. Think of it as a sort of autocomplete for intention. Our mobile devices and many of the wearables coming to market will be listening and observing in the background and will offer up either text, audio, or haptic notifications as needed, and those will be decided by algorithm. If news organizations leverage ambient interfaces, they could capture the attention of consumers more regularly. 2046: Sometime in the late 2010s, push notifications gave way to sense-based news design at scale, with customizable haptic alerts and deep linking to news content across apps and mobile sites. News is now delivered via touch as well as text. 2016: Algorithmic curation is a process that automatically determines what content should be displayed or hidden and how it should be presented to your audience. Facebook’s News Feed already uses an algorithm to curate all the posts created in your network to serve only the content it thinks will engage you most. In the coming year, Facebook, along with Google and Yahoo, will continue to refine their news algorithms, which use our online behaviors to determine which content to show. In 2016 and beyond, I expect to see more predictive, algorithmic curation based on content as well as situation. Rather than delivering a full breaking news story to our mobile phones, algorithms will deliver the “waiting in line at Starbucks” version of that story, a more in-depth longread to our tablets, and a video version of that story once we’re in front of our connected TVs. 2046: News organizations had great opportunities back in 2016. Management could have chosen to invest into meaningful, long-term R&D. Instead, distribution became the domain of technology companies alone, who as a result, now control every aspect of how we get the news today. Those companies — not journalists — determine what content is shown, in what format and when. Traditional journalism is just one of hundreds of options on the available platforms. While there are certainly some hard-core news junkies still left (though aging, sadly), the direct-to-consumer approach disempowered our once-venerated media organizations. 2046: News organizations had great opportunities back in 2016. Management made a decision to invest in long-term R&D, partnering with researchers, universities, and technologists to build distribution systems for the future. As news orgs continued to distribute content through social media and the usual Internet channels, managers funneled more resources towards research and planning. Of course, there was no immediate return on investment. But that was part of the plan — everyone agreed that this was journalism’s moonshot. It took several years of critical thinking, discipline, and hard work, but we are all better for it now. Those early pioneers built the foundation for the golden age of journalism we are enjoying today. Journalists work together with technologists and virtual assistants. Journalism schools are the innovation centers propelling the industry forward. While there are plenty sources of content available elsewhere, consumers are now habituated to seeking out news from their local media outlets and their favorite national journalism brands. Many say that in 2046, we’ve reached a critical mass of investigative and watchdog reporting. That it’s the best yet in our country’s history. Understandably, the news industry makes enough money to produce news content that consumers cannot live without, since it has become an indispensable part of their everyday lives. 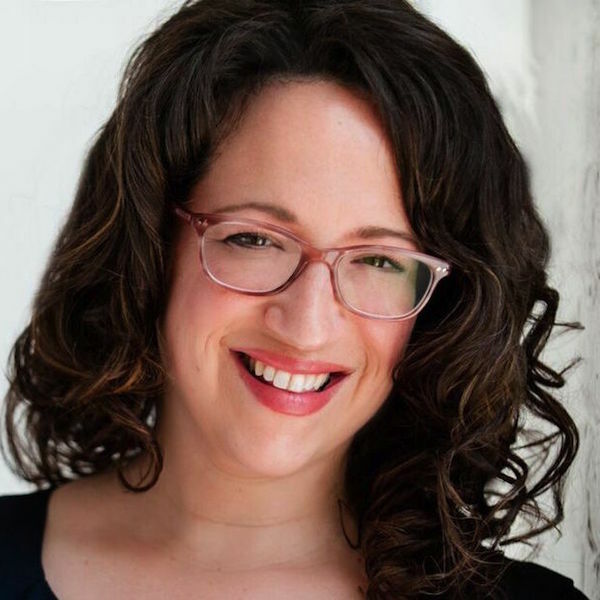 Amy Webb is founder and CEO of Webbmedia Group Digital Strategy and was a 2014-2015 Knight Visiting Nieman Fellow. Dec. 16, 2015, 12:42 p.m.